UFC heavyweight legend Mark Hunt finished his business with Bigfoot last night at UFC 193, and he did it like a boss…. It was a huge night for he UFC in Melbourne, Australia last night, as the promotion put on UFC 193. The headlining bout featured the shocking knockout victory for Holly Holm over the formerly dominant queen of the division Ronda Rousey. 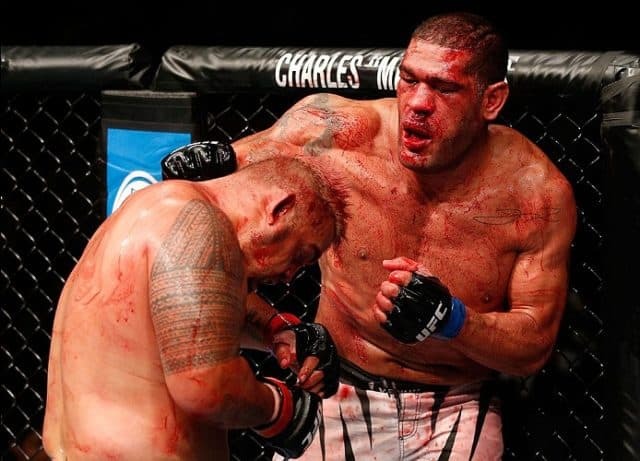 Elsewhere on the card though, Mark Hunt got his hand raised against his old rival Antonio Bigfoot Silva, who had previously failed a drug test after their first epic fight in 2013. ‘The Super Samoan’ didn’t hang around in Australia, getting the job done in just one round. Silva, clearly not anywhere near the same fighter since coming off the testosterone therapy, looked like a shell of his former self. The man that TKO’d the great Fedor Emelianenko is no more, who knows, perhaps without the years of TRT he never would have been. One thing is for sure now, the big Brazilian needs to retire, and Hunt needs to make another run at the title. Enjoy the fight video highlights and stay tuned!